Before a coil former set is put in a plastic bag and shipped to your home, some work has to be done. 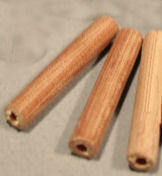 The material comes in 117 cm long tubes or rods and has to be changed in something you can use. In all kinds of publications around Paraset one encounters the mysterious name Paxolin. Paxolin is (was) merely a brand name that became synonym for a smelly, brown insulating material. Nowadays this brand no longer exists, as far as I know but brands like Tufnol and Novotex do. In the old days, over here in The Netherlands we called it “Pertinax”. What kind of material is it? The basis is Phenol Formaldehyde Resin (PF) that is applied either to paper or to textile. 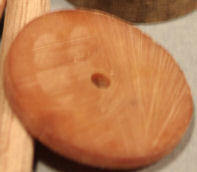 Soaked and pressed under high temperature, similar to Bakelite. For printed circuit board (the old fashioned brown type) and isolation purposes paper is used (that is why PCB's easily break), for more heavy duty applications the textile variant is used. You can imagine that the textile does the same as the iron does in concrete, it enhances the strength. The textile type is used, amongst many others, in the sailboat environment: wheels in pulley blocks and alike. PF is tough, has good electrical qualities, is easy to saw, drill, mill. It has a tight surface so it can withstand harsh environments. If you want to know more of this historical stuff, follow this link to an informative Wiki-page: http://en.wikipedia.org/wiki/Phenol_formaldehyde_resin. On the right hand side the coil former I sell. 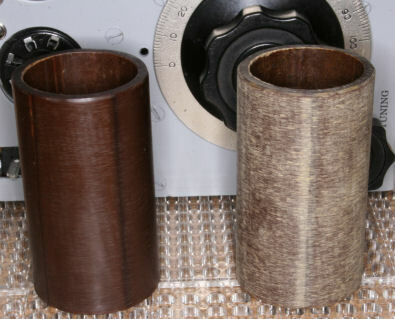 On the left is the same former, but sanded with 800 emery paper and a drop of oil. 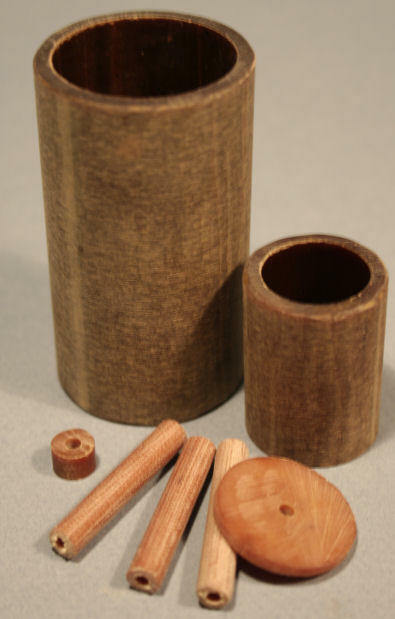 State: machine cut, ends sanded, unpolished, no holes drilled. State: machine cut, unpolished, edges sanded, drilled through at 3 mm. The hole will fit M3 and BA6, which measures 2,7 mm. The buyer will have to file a hollow to fit the TX coil curve. State: machine cut, unpolished, edges sanded, drilled through at 2,4 mm (will fit M3/BA6 thread). State: machine cut, unpolished, edges sanded, drilled through at 3 mm. The hole will fit M3 and BA6, which measures 2,7 mm. The rx-coil cover was centred and drilled at 3 mm. Coil formers are NOT polished. Set contains TX + Rx coil formers, RX coil cover, 3 stands and drawing / technical details.